Over 70% of our projects are with financial services customers. ShellBlack.com has years of experience implementing Financial Services Cloud (FSC) for Wealth Management, Mortgage, and Banking. The FSC projects we have delivered have ranged from a hand-full of users to nearly 500. Our certified consultants can deliver best practices to your company. 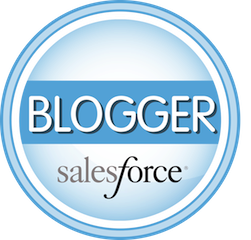 Let us bring our industry expertise and knowledge of Salesforce FSC to your organization! For those existing Salesforce customers considering moving to Financial Services Cloud you should know there is no upgrade path. You can not implement FSC in an existing org, which means you must migrate your data to a new Salesforce org where Financial Services Cloud has already been installed. Just as important to note, you must use the Lightning Experience (LEX) – it does not function properly in Classic. Also to note, the data model is unique in Financial Services Cloud. 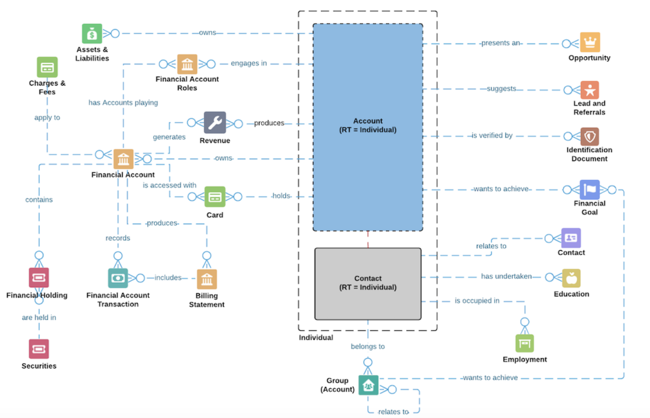 It’s a hybrid Account / Contact data model that allows for four different types of entities to coexist: Individual, Institution, Household, and Business. Importing data into this structure is tricky, and we’ve cleaned up multiple instances where a prior consultant imported the data incorrectly. ShellBlack has a dedicated data team that is well versed on the FSC data structure as well as migrating information from many of the popular financial CRMs such as Junxure (cloud and on-premise), RedTail, Tamarac, Bill Good (Gorilla), Advent, ProTracker, Grendel, and others. Ready to start working with Financial Services Cloud from Salesforce? Contact us today!